Let me start out by saying that I am not an Apple-hater. Nor do I have an irrational fear of their products [incredibly, there is a word for a fear of apples: Malusdomesticaphobia]. Generally, I find Apple’s products to be stylish and simple to use. 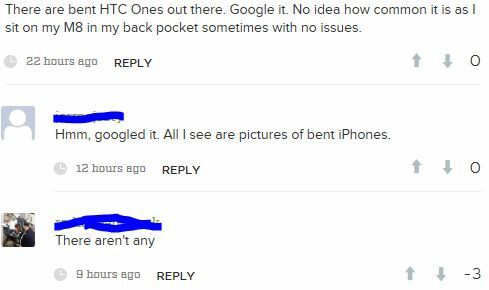 So why would I find myself suffused with a feeling of schadenfreude upon learning of the bend problem (hashtag #bendgate) with the iPhone 6 Plus? After some soul-searching I came to conclusion that my problem has less to do with Apple than the those who slavishly support the company and everything it churns out. In terms of blind faith and unswerving devotion, most religious cults would gladly trade disciples with Apple. However this unquestioning devotion has come to pass it is clearly good for business. As a work colleague suggested, Apple could produce a plain cardboard cube and, following the requisite glitzy launch, fans would be camping out all night outside iStores ready to snap them up at $100 a pop. It is interesting and revealing that after the social media storm yesterday surrounding bendgate Apple has yet to comment. I suspect the execs are too busy roasting the Test Manager’s testicles over an open flame. To a certain extent they don’t actually need to comment. After all, their Apple fan-base is doing a sterling job of defending the indefensible. The bottom line is that Apple has released a premium product with a fundamental flaw. The right thing to do of course would be to start by issuing an immediate statement indicating that they fully understand the concerns. Then within a couple of days they should issue a statement being clear about how they will address the flaw. If, on the other hand, they attempt to sweep the whole business under the carpet they won’t lose the die-hard fans, but they will certainly lose the middle ground. That way madness (or at least Blackberry) lies. Samsung, LG, Microsoft and others will be lapping this up, while at the same time furiously flogging their product development and test teams to ensure the same thing doesn’t happen to them. Bendgate is a story with legs. I can’t wait for the next instalment. Posted by admin on September 25, 2014 at 4:18 pm under Mobility.